Sabrina Schroeder-Dammann is featured in the new documentary States of Grace, which takes an intimate look at her family in the wake of a life-changing accident. States of Grace , the documentary about my mom’s recovery from a head-on collision on the Golden Gate Bridge and the impact of the accident on our family, has been playing in theaters and festivals around the country for several months now. It was even honored with an Audience Favorite Award at the Mill Valley Film Festival during its world premiere last October. Though both of my moms, Grace and Fu, have attended many screenings of the film, people wondered if I was ever going to appear at a show. Hiding away behind papers and tests, it didn’t take long for me to realize I was using school as an excuse for the real reason for not seeing the film: the trauma of the accident and coming to terms with emotions and experiences I wasn’t ready to face. I buried myself in my work, making excuses. People who know me thought this was odd, as I love being the center of attention in most situations. All things considered, the film was not something I was ready to deal with. When I learned States of Grace was going to premiere on the East Coast and play in a movie theater in New York City, however, I knew I had to go. Luckily, it was scheduled during my spring break. When I first said I would go, it was more to please the people who had urged me to see the film, and I had almost every intention of backing out. However, as the premiere got closer, I became less nervous and came to an understanding with myself: I realized I needed to see the film, and I needed to see it with my sister Aarin, who lives in New York part of the year. 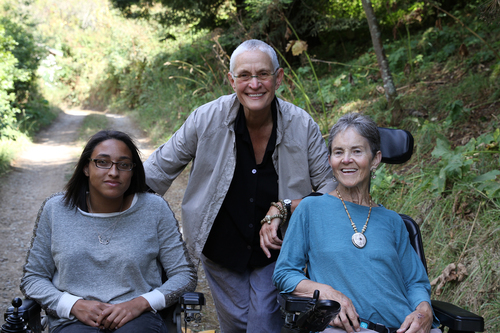 In the days leading up to the screening, I felt myself pushing thoughts of the film out of my head and focusing on spending time with Grace and my aunt Adair. We were at the beginning of a road trip with Helen and Mark, the filmmakers, to premiere the film at six different venues in five cities over the course of a single week. Before the screening, we had dinner at a bar across the street. I sat with Aarin and her family, completely suppressing any emotions. After dinner we went over to the theater; the lights went down and the film began. After finally seeing States of Grace , I had very mixed emotions. My first reaction was how funny it was. One aspect I vividly remember from that time was how, even when things were at their worst, everyone remained strong and full of humor. At a time with so much uncertainty and tension, everyone came together to support Grace and continued to smile. The next striking aspect that the film brings out is the complex and layered sense of community that surrounded Grace. Some of her friends flew into San Francisco from New York the day after the accident, only to be greeted by a waiting room filled with unfamiliar people, half of them wearing multicolored robes. What struck me most about that time was how all these people who were so connected to one person, Grace, didn’t have any idea that the other communities existed. For many, it was their first time meeting each other, and the range of relationships to Grace was vast. Everyone from her close sisters to her best friend from college, Gaylord, was there. Seeing the film for the first time didn’t make me as upset as I thought it would. I realized how emotionally detached I had been during Grace’s recovery, and completely naive to the severity of the accident. While part of me wishes I had seen it sooner, I realize it’s definitely better that I waited until I was ready. Now I am planning on attending as many screenings as I can, including the opening weekend of the weeklong theatrical run at the Rafael Film Center in San Rafael and the Vogue Theatre in San Francisco from April 24–30. 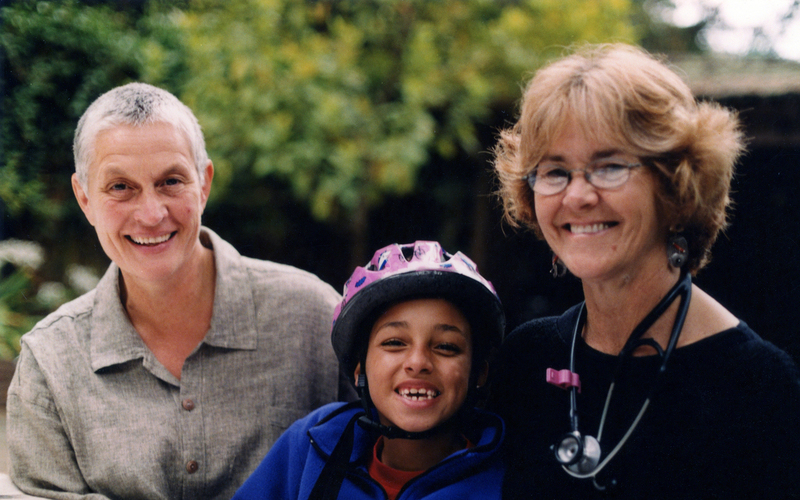 As the release of States of Grace moves forward, I can see it playing an important role for many different kinds of audiences—from Buddhist communities to healthcare professionals to people with disabilities to LGBT people. Overall, I would like to see Grace be on TED Talk, Oprah, and Barbara Walters. I think she and the film could ultimately be motivational for so many. 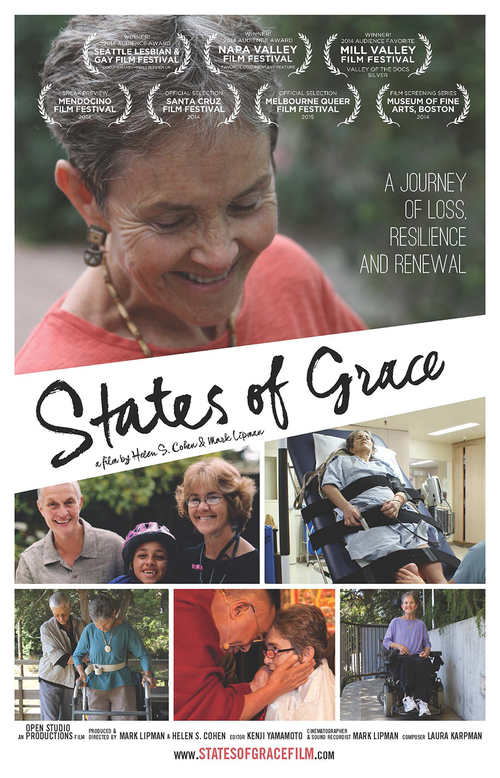 States of Grace plays at the Rafael Film Center in San Rafael and the Vogue Theatre in San Francisco from April 24–30. 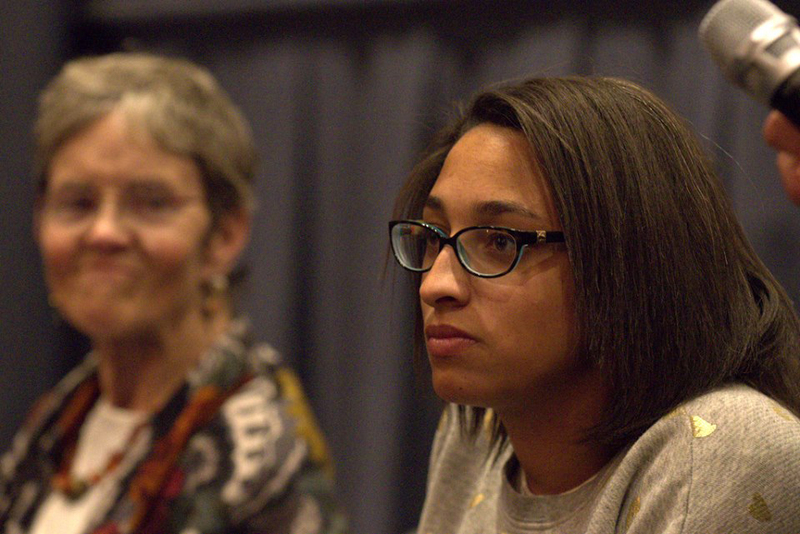 Dr. Grace Dammann, Fu Schroeder, Sabrina Schroeder-Dammann and the filmmakers will be on hand for Q&A following multiple screenings throughout opening weekend. For showtimes, tickets and appearance schedule, please visit www.statesofgracefilm.com. Sabrina Schroeder-Dammann is currently a student at Pitzer College in Claremont, California, where she is studying Political Science. This entry was posted in Films and tagged disability, documentary, Films, LGBT. Bookmark the permalink.